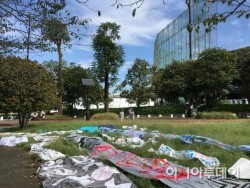 Is there a solution for Japan's anti-Korean sentiment? By AsiaToday reporter Kim Ye-jin - Concerns are growing about a spreading anti-Korean sentiment in Japan, following a recent case of a famous sushi restaur..
Dr. Ibrahim Al-Assaf, Minister of Finance for Saudi Arabia, talks with an advisor after arriving to a Gulf Cooperation Council (GCC) meeting in Riyadh on O.. 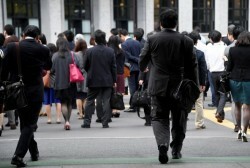 Source: AFP, Yonhap NewsBy AsiaToday reporter Kim Ye-jin - It has been revealed that Japanese young people are suffering from overwork-related mental probl.. 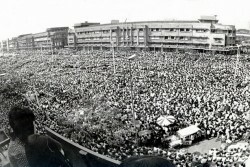 The Thai popular uprising of Oct 14, 1973 against the military dictatorship./ Source: WikipediaBy AsiaToday reporter Jina Koh – On October 6, 1976, scores..
International Olympic Committee (IOC) President Thomas Bach answers questions regarding the 2020 Tokyo Olympic Games after talks with Japanese Prime Minist.. 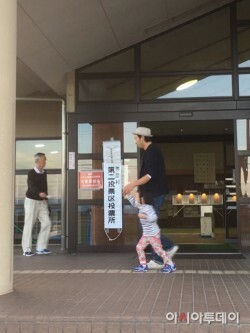 The Niigata gubernatorial election was carried out on October 16. 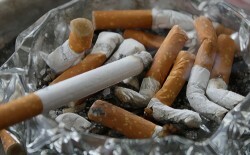 The photo shows the residents of Niigata after casting a vote./ Photographed by Um Soo-ah..
By AsiaToday reporter Kim Ye-jin - Asian countries are taking measures against smoking. 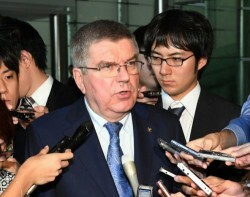 Japan's health minister Yasuhisa Shiozaki said that the government.. 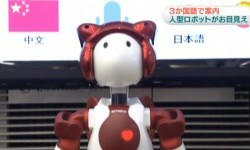 Image: A screenshot of NHK By AsiaToday reporter Kim Ye-jin - Social robots, which are designed to interact and communicate with humans, are garnering atte..
Tokyo Metropolitan Government notified homeless campers in the Meiji Park that the area was being shut down and that they had to leave the area by Sept. 30..
By AsiaToday reporter Jina Koh – While the United Nations Security Council passed the resolution in March, which imposed tougher sanctions against North Ko..